The Mystic Krewe has had a busy year. We’ve been remiss in updating the public side of our web site, despite the fact that we’ve had a ton of things going on. We’ve now done more than a dozen Live From the PinChurch concerts. Be sure to check out our YouTube Page and Subscribe! There’s a good chance at any given moment, we’ve got another one on the calendar. 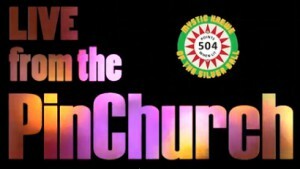 It’s one of the rare times when there is a chance for non-members to visit the PinChurch — we sell a very small number of public tickets usually a few weeks before the show. Check the Events page for more details. We have also been doing a Regular Movie Night on our 15 foot HD theater, as well as Gaming Nights where members play card, board and strategy games. 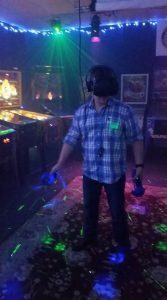 We also have a state-of-the-art Virtual Reality System with 150+ of the latest games and simulations. We’ve also been doing a wide variety of interesting classes on subjects as diverse as Beekeeping and CPR to Magic Tricks, to microcontroller builds using Raspberry Pis for PiMAME gaming systems and Magic Mirror displays. 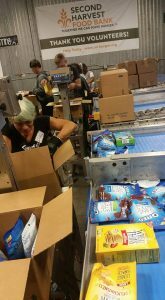 In keeping with our motto, “Melior Quam Ante” (which means “Better Than Before” in Latin), our group has also been giving back to the community, by doing volunteer work with groups such as the Second Harvest Food Bank. This is a really great organization that does a lot of good in the local community. Everybody should help out when they can. We’ve continued to do a variety of social activities and events, from private corporate parties, to birthday celebrations, and even an absolutely amazing “Friends-giving” last November with an amazing spread of food! Our membership continues to grow. And our community becomes more energized and supportive. This crazy social experiment is becoming very rewarding. If you have always wondered whether there can be a place, filled with creative, passionate, empathetic people who like to learn and share, minus the toxicity ever-present in our day-to-day lives, yes, it is possible! If you’d like to find out more and how to join our amazing group — even if you’re not nearby, you can still help support us and benefit from our work. Visit: http://MysticKrewe.com/about/ for more! And contact us if you have any questions or inquiries! 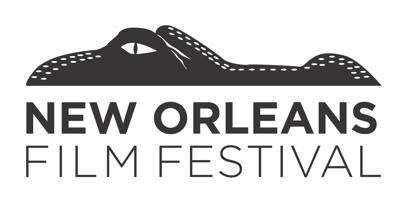 The Mystic Krewe is proud to be a partner with the New Orleans Film Festival to call attention to young and up and coming filmmakers! 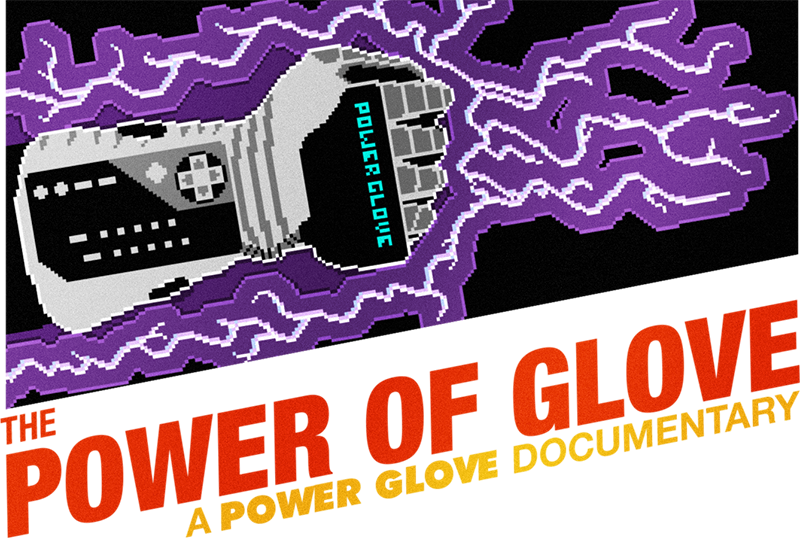 We will be having a presence at the 2017 Festival at the Broad Theater at 636 North Broad, FRIDAY, October 13th., 6:45pm for the premier of the documentary film, “The Power of Glove”. Join us to help support local arts. Come on out to see the show this Friday, Oct 13th at Broad Theater,636 N Broad St, New Orleans, Louisiana 70119! Public welcome! Show starts at 6:45pm. Tickets are $10 for NOFF members and $13 for non-members at the door. Additional tickets for the entire film festival lineup are also available. 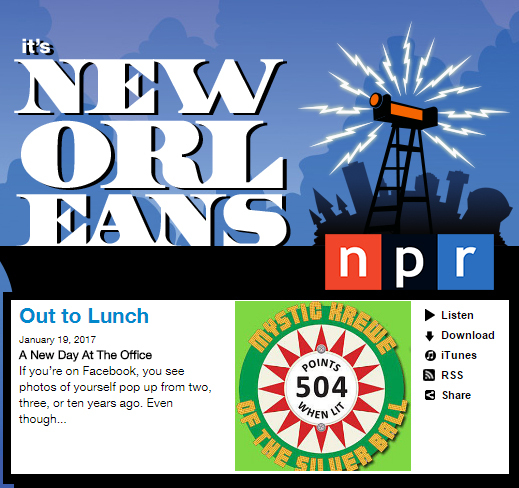 We at the Mystic Krewe would like to thank the amazing producers of NPR’s “Out To Lunch” radio show, Grant Morris, Peter Ricchiuti and the whole gang for the wonderful time we had on their show. We’ve had a lot of interesting press coverage lately, as well as a variety of cool activities. Our eighth Live From the PinChurch show featuring Alexis & the Samurai was a great success. We’ve recently held classes on a variety of topics from Beekeeping to CPR, with many more fun things to come! In addition to our normal social activities, we have a number of business projects in development, including work on electronics, lighting, software, mobile applications and more. We’re also gearing up for the Louisiana State Pinball Championships in a few weeks. 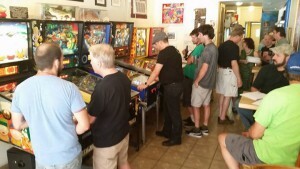 We are also hosting a weekly pinball league at our public satellite location at 2315 St. Claude. The Mystic Krewe Pinball Parlor – the area’s largest array of pinball machines out in public for everyone to enjoy. We are always looking for cool, creative, interesting people to join our special family! For information on our group and how to join, visit the MK about page. Many more live concerts – We’ve now done seven “Live From the PinChurch” concerts and are still editing and releasing videos. We’ve hosted a very diverse array of bands in our private cyber-studio of different styles and configurations, from small folk acts, to orchestras. As always, members get in free to the shows, and there’s a limited number of public tickets, which now seem to sell out fast. We’ve started a new Youtube channel for the PinChurch. Be sure to Subscribe! 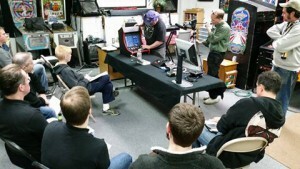 Classes – We recently produced another fun event, an Introduction/Overview of how to build a MAME (custom arcade) system. We’ve got future classes lined up in everything from stained glass to public relations and ProTools. Our members are very generous about sharing their time and their skills with the group. Charity Events – The MK continues to support a variety of benevolent organizations, including recently the Greater New Orleans Youth Orchestra and the Humane Society of Louisiana. We’re working on setting up a volunteer day to help Habitat For Humanity. New Orleans first pinball arcade in 30+ years! 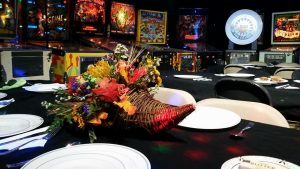 – We finally opened a public pinball arcade at 2315 St. Claude, and we are working on opening up an even larger scale venue and looking for partners! Tech Projects – We’ve got a wide variety of cool tech projects that we’re doing, from laser cutting leather into neat items to sell, to designing custom digital LED “smart lights” and creating Internet-aware microcontrollers. 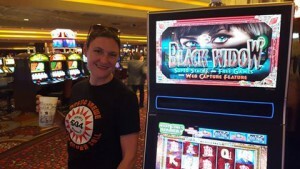 Pinball – Our member, Adrienne Black became the first woman ever to win a state pinball championship! Congrats Adeienne. She went to Las Vegas to compete in the nationals. 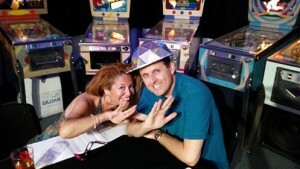 There’s even talk of us hosting a future regional/world pinball championship. More tournaments are coming to the Mystic Krewe Pinball Parlor downtown as well! Membership – We’ve been adding many new members to the family and our weekly events are becoming really special. Our amazing array of interesting, creative and passionate people are a joy to hang out with. It’s so rewarding to be surrounded by cool people so willing to help. If you’d like to be among us, see if membership is for you!